In our second story today related to Supergiant Game’s Bastion, we bring you news of (mostly) free DLC for the title. Bastion, as we already explained in our earlier post, was absolutely one of the best downloadable titles to release during the course of 2011. Now, the developers have announced DLC to offer new ways to play and expand the narrative of their game. Players will be getting a score attack mode, “The Stranger’s Dream” that expands upon the game’s story and the “No-Sweat Mode.” That last one actually grants players unlimited continues after dying. Supergiant Games posted instructions concerning the acquisition of this content on their website. Steam Users: You’ll receive this free update automatically through Steam when it becomes available. Xbox LIVE Arcade Users: Start the game on December 14 or later to be prompted to download our new Title Update. You’ll see an option to download the new content from the main menu once you have the Title Update, which also fixes various minor issues in the game. The Stranger’s Dream DLC will be available for 80 Microsoft Points ($1) on XBLA, which we can’t make free due to Microsoft policy, so it’s about as close as we could get. Though, since you’ll be getting at good chunk of new content, we think you’ll be satisfied with your purchase. Non-Steam PC Users: We’ll be working with the various online vendors to update their versions of the Bastion installer so that you can download the latest version containing the update. Google Chrome Users: Our newly-announced Google Chrome version will be getting this DLC as well, in the coming weeks. Your version of the game should update automatically when the DLC becomes available. It’s certainly odd that Microsoft wouldn’t allow free DLC from Supergiant Games. They’ve met that request at the behest of other developers and publishers before; Portal 2, in fact, recently received a batch of free DLC. Yet, this isn’t the first time I’ve personally heard of Microsoft putting the kibosh on publishers setting the price of their products on the digital marketplace. Still, it’s a dollar for XBLA gamers. 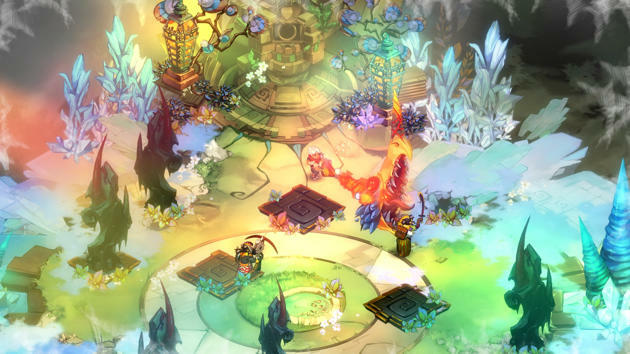 Most Bastion fans would consider additional content for one of their favorite games to be worth whatever Supergiant Games deems sufficient.